Remington Outdoor Company, one of the largest gun makers in the country, has solicited the help of an investment bank on options to re-structure its $950 million debt, sources told Reuters last week. Remington — facing doubts about its ability to refinance its debt next year amid sluggish sales and loss of investors — has turned to Lazard to examine options for boosting its finances, according to Reuters. Reported sales for Remington are trailing the year before’s by some $177 million, according to November’s financial filings by the North Carolina-based company, which puts the gun maker at a $60.5 million loss. Nine months into the year, Remington’s sales fell by 27 percent. In that same timeframe, national gun sales fell by 12 percent. Following the surprising election victory by Donald Trump in 2016, the gun industry as a whole has struggled due to high inventory levels and soft market conditions. Many expected Hillary Clinton to win and prepared for continued politically-driven sales, which they saw throughout the entirety of the Obama Administration. Although Remington produces guns, ammo and accessories, the company’s executives explained to investors in November that the biggest hits were to firearm sales, specifically AR-style rifles. Eight months into the year, firearm sales fell 33.4 percent, or by $107 million. Remington has some $964.5 million in debt and repayments are due next year and 2020. Given the weak market and looming debt payments, notable financial analysts have downgraded the company’s performance. In December, Moody’s Investors Service raised the probability that Remington will default on the loan. And, in the month before, S&P Global lowered Remington’s rating to a “negative” outlook. Sluggish sales and debt aside, Remington lost and failed to gain new investors after the Sandy Hook shooting in 2012, Reuters reported. In the wake of the shooting, investment firm Cerberus Capital, which owns ROC — then Freedom Group — tried to sell off their interests and also offered investors an option to cash in their own shares. Also, the gunman responsible for the incident killed 20 first-graders and six educators using an AR rifle made by Bushmaster, a company owned by Remington. The victims’ families have kept pressure on the company with a ongoing lawsuit — now being appealed — alleging Remington led marketing efforts that purposefully appealed to disturbed individuals. 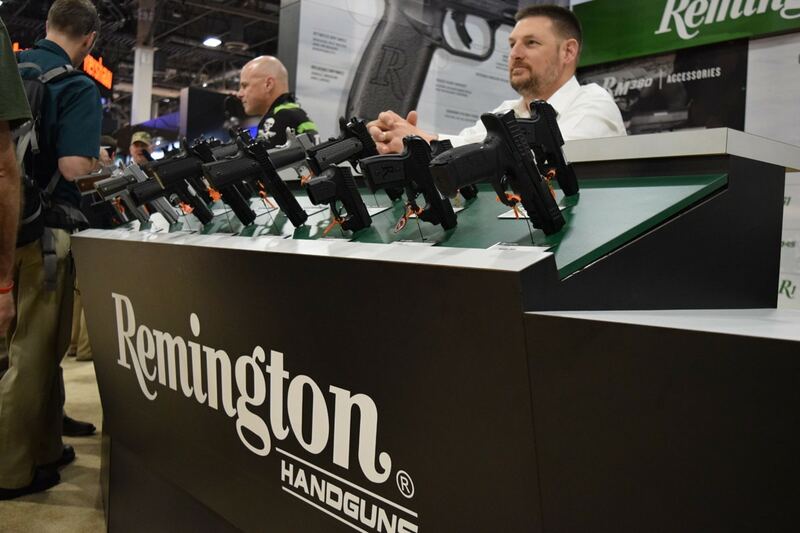 Like most gun companies, Remington appeared last week at SHOT Show in Las Vegas to showcase a host of new products like rifles, shotguns, handguns and ammunition. The company, which issues bonds, will report fourth quarter results some time in early 2018.